Tessera Solar's survey method for the White-margined beardtongue--a rare desert plant--likely failed to identify the true extent of the threatened species' existence on the Calico Solar site. The White-margined beardtongue could face extinction due to population fragmentation expedited by the rush of utility-scale energy projects in its range. The attempted avoidance of special status plants on site does not account for our scientific understanding of the species, has not been tested, and will further serve to fragment the remaining population. 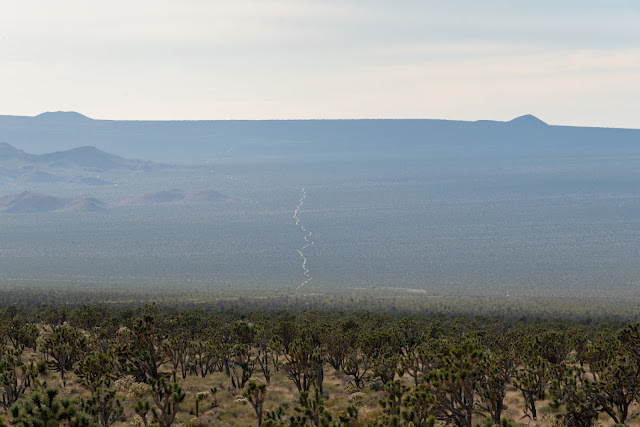 The Calico Solar site is a rare example of pristine Central Mojave Desert ecosystem. 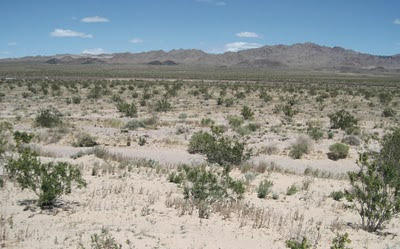 It represents one of the last sanctuaries in the Mojave for hundreds of floristic species unique to the Central Mojave. Photo by Lara Hartley Photography. 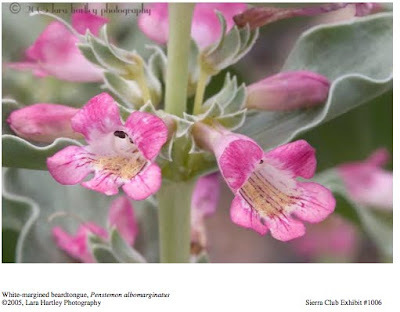 Screenshot of White-Margined beardtongue from Sierra Club prehearing conference statement. 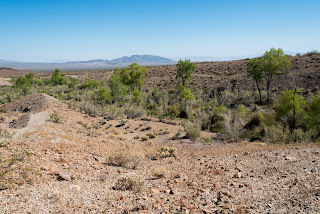 Mr. Andre's testimony underscores the site's importance to the survival of plant species in the Mojave, but other testimony and the CEC staff assessment identify additional significant impacts to threatened species, such as the Mojave fringe-toed lizard and the desert tortoise. The Supplemental Staff Assessment indicates that at least 176 desert tortoises would have been impacted by the original Calico Solar site layout. After Tessera Solar reduced the layout of the site, the CEC staff assessed that only 57 tortoises would be directly impacted. While 57 is still a high number of tortoises that would likely die as a result of the project, a wildlife biologist who has visited the site determined that the revised layout is likely home to as many as 132 tortoises based on a review of the tortoise burrow locations, and the actual number of observed tortoises during protocol surveys. Mr. Andre's testimony urges the CEC not to issue a Statement of Overriding Consideration. Such a statement is essentially a policy tool that allows the CEC to disregard the significant ecological impact a project will have if the benefit of the project is deemed to exceed the harm. 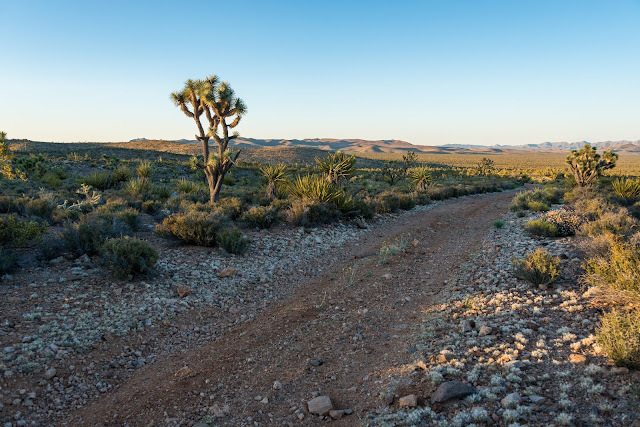 As we know from examples like the Beacon and Abengoa Solar projects, there are better locations for utility-scale solar that are not as harmful to the dwindling desert wildlife, which should make overriding considerations unwarranted. Despite this, the CEC has previously used the Overriding Consideration statement as a policy shortcut. Now I know why Tessera Solar's lawyers wanted him banned from speaking at the evidentiary hearings. Photo of the Calico Solar project site in the Mojave Desert, taken from the PWA report on the Calico Site hydrology and geomorphic qualities, submitted to the CEC on June 18th.